If you really want to create a good online presence of your Cryptocurrency blog or website, you must incorporate one of the following ICO WP Themes. Cryptocurrency is today’s hot trend and it shouldn’t come as wonderment to know, there are plenty of amazing Cryptocurrency WordPress themes to get your hands on! As of today, the total market capitalization of Cryptocurrency is more than 370 billion US dollars. Hence it’s no surprise that this remarkably famous blockchain industry knows; how to attract startups, companies and even big entrepreneurs from all over the globe. So are you looking forward to launching a Cryptocurrency business? Do you need to develop a website to show your ICO products/services? If the answer to the questions is yes; WordPress is your most optimal solution. You can always take the old route and spend a good amount of time and money to develop a website right from the scratch. But if you really want to speed up the process and get done with your perfect website, with a minimum amount of time and efforts, then you must go with any of the below-discussed WordPress themes. When you choose your web design based on great WordPress themes for ICO, you can put complete focus on the development of your crypto-project as well as maintenance of your Wordpress website. There are plenty of multipurpose WordPress themes that perfectly match ICO business needs. So regardless if you are starting consulting services, Cryptocurrency blog, online shop or launching a new and unique ICO (Initial Coin Offering), make the most of easily customizable and well-designedWordPress themes and help your WordPress site to be up and running in just no time. As we know the demand for Cryptocurrency, as well as, the information on this hot topic is huge, similarly, there is a lot of demand for WordPress ICO themes. The reasons are certainly obvious. There is many people who are making a huge sum of money by starting the Cryptocurrency, ICO or Bitcoin website. For this, they need to incorporate a proper WordPress theme for ICO – the one that best meets their business preferences. When you integrate your website with the highly customizable WordPress ICO theme, you easily sell any or multiple cryptocurrencies online. You can educate people about cryptocurrency investment or design aninformation portal aboutdifferent digital currencies. So if you plan to go with any of the given ideas, what else could be more helpful than incorporating a well-designed and a good quality WordPress theme into your website! The WordPress themes for ICO offer unlimited features to be incorporated. The key features of greatWordPress ICO themes include crypto currency calculators, ICO countdown counters, currency converters or online systems for wallet registration etc. However, with the range of great design styles as well as demo websites, you may get confused in choosing the one that best meets your preference. Thus to help you make the right decision, we will be discussing the top five WordPress themes for ICO. This will help you choose the one that is perfect for your ICO project. In fact, all of these themes are best known for their great performance, functionality,and features. So without further ado, let’s discuss each one of them in detail! Here is our review of the top five WordPress ICO themes and their great built-infeatures. It is the most famous multi-purpose WP theme. It offers all the e-commerce functionality that an ICO store will ever ask for. It allows accepting payments in various crypto currencies including Bitcoin. The theme demonstrates that you don’t need to miss out on any settings, functionality or design option when shopping for a purposeful WP ICO theme. The coach feature of the crypto theme is hard to overlook. It easily adds membership area on your website. Your visitors can easily book a coaching session with you, facilitating them to learn more aboutCrypto currency. If you wish to sell crypto currency products, the theme offers computer hardware for mining rigs and hardware wallets. The demos provide information with regards to all the e-commerce functionality needed by your store. There are two different themes demos in terms of color schemes. One is featuring a darker design while the other one featuring a lighter palette. The features are incorporated to appeal to a wider range of people developing a Word PressCrypt on currency website. In short, Crypt on is the number one multi-purpose Word Press ICO theme that offers everything that your website or blog needs to make a great online presence with minimum efforts. It is a feature-rich theme that comes with modern design and a great set of features. It is one of the most compelling WP themes that are Crypto currency-specific and suitable for several industry-related functions. The most appealing feature of Crypterio is its modern, sleek, responsive and one-page design that comes with smooth animations. Crypterion is best known for its great selection of demos that help to create a variety of crypto currency sites using Word Press. These demos offer great functions to set up a website. So regardless if you are aiming for blockchain consulting, Crypto currency advisory services or some other type of Crypto currency opportunity, it is the right WP theme for you. When you choose to integrate Crypterion, you get the best ICO landing page as well as Crypto currency website. In fact, it is the bestselling theme in the WP markets it fits all types of crypto currency business. The Crypterion theme package includes useful countdown timers that help to promote ICO launch. It helps your users to ascertain the performance of their crypto currency holding by offering exchange rate widgets. In addition to that, the theme also offersCrypto currency converter tool which increases the chances that your visitors will bookmark your website as a useful page to visit. Cyrpterion package also includes the drag-and-drop page builder plugin along with a slideshow builder. The theme offers both general and premium features. To get the most of this WP theme, you can go through the extensive documentation, regardless if you are a novice when it comes to Word Press experience. It is a modern, clean and stunning WP theme for ICO that support great business ideas. It is a robust WP theme that is easy to install and quick to use. When you choose Cryptic you don’t need to worry about your website’s online presence, as it is fully search engine optimized theme. The theme offers a variety of pre-built demo features and content that help to build a perfect website. The pre-built content includes homepage to promote crypto coaching services, information of a general crypto currency website, content related to the ICO launch and others. Cryptic doesn’t lack in other great WP theme features as well. With the Woo Commerce integration, it becomes easier and very useful to sell online along with the ability to get paid in crypto currency. The theme also comes with a WPBakery Page Builder plugin. All the features of this popular theme are well-coded to load as earliest as possible. This means that your website does not face the issues like slow loading speed that usually lead to search engine penalty. This is another distinctive and highly popular Word Press theme for ICO that is vibrant, smooth and offer a simplistic layout. The theme is best known for its elements that perfectly harmonize together. It is a multipurpose theme in which you can easily and instantly import all the pre-built demos while customizing them with a drag-and-drop page builder tool. 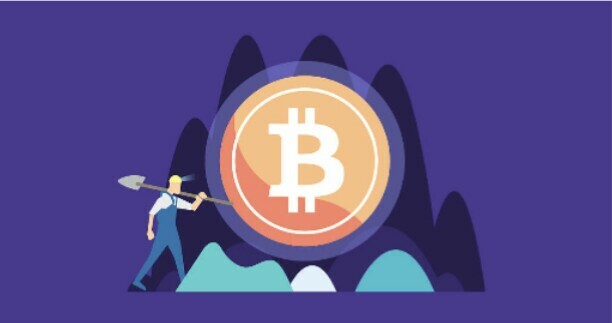 You can find several templates to display crypto currency exchanges, promoting crypto-specific services, listing mining equipment,and blogging. The theme can also be used to instantly sell products by using the WooCommerce plugin. To fully match the theme design with your vision, import one of the pre-built Crypto currency site demo into the Word Press installation and then integrate the Unyson Page Builder plugin to fully customize the templates and sample layouts accordingly. The Block Chain WP theme for ICO is a great tool to build a professional looking site for the Cryptocurrency solution, Cryptocurrency related topic or even product. Block Chain is best known for being the business-focused theme. It is ideal for all sort of ICO or cryptocurrency related websites. The WP theme is designed by the CSSIgniter team and it comes with various great features. The default layout of this theme clearly indicates that it is a leading WP business theme. You can expect to find every feature of a professional premium website. The theme also comes with some custom widgets which can be used to show the latest exchange rates in the footers, sidebars and different widget-ready segments on your website. These widgets help the visitors to take a glance and ascertain the worth of various coins, compared to a variety of fiat currencies as well as other coins. Block Chain widgets are great and easy to setup. They can be updated automatically and that makes them quite a useful addition to a website that is specific to Cryptocurrency. If we speak of the traditional features of WP theme, Block Chain never disappoint, though you still need a help of professionals for your Wordpress maintenance plan to keep it tidy and secured. To make sure your site has the best feel and look, the Block Chain WP theme is designed around the famous Elementor page builder tool. The layout and design of a website play a major role in establishing brand authority. Thus, make the most of these WP Themes for ICO and provide the best user experience to your visitors. After all, creating content or selling digital currencies has never been so easy. So choose the WP ICO theme that has the most potential to take your website’s online presence to an absolutely new and higher level. After all, a developed site also need a maintenance then you can hire professionals for your WP website maintenance. If you have already used any of the above-discussed plugins, share your experience in the comment section below.